Ki Bo Bae took home a team gold and individual bronze from the Rio 2016 Olympic Games. 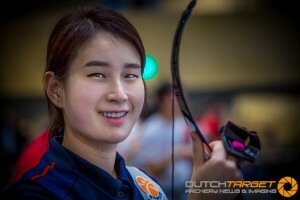 The first was less of a surprise, but another individual gold medal would have elevated her to the archery gods; no-one has ever defended an individual archery title in the history of the Olympic Games. 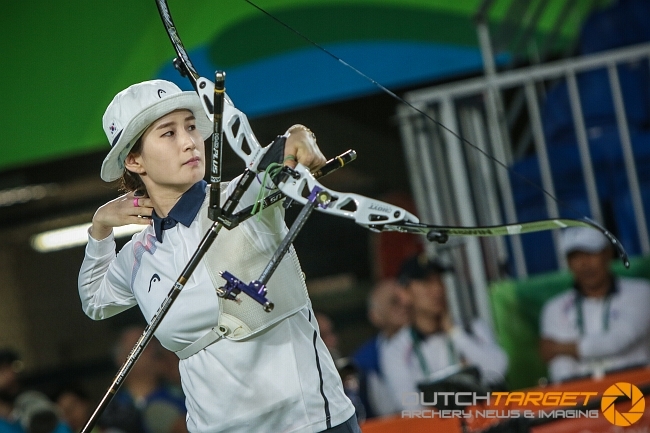 It wasn’t to be, as she was beaten by her teammate Chang Hyejin in a high-pressure semifinal. She opened up to Korean media Sisa Press about the Games toward the end of last year and left a few hints about her future. Previously she said that she would keep competing until Tokyo 2020, although she hasn’t yet made her plans for 2017 clear and it remains to be seen if she will – or can – stay on the notoriously competitive Korean first team for another Olympic cycle. How do you feel about Rio now? Do you have mixed feelings? It was worthwhile to do, since I won two medals in the team competition and individual one. It would all be a letdown if I didn’t have results. 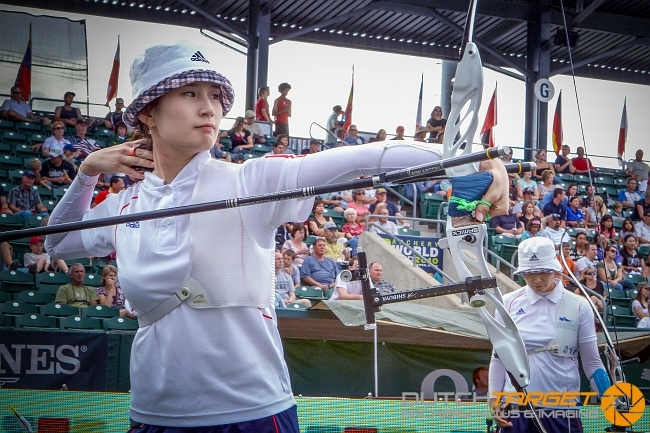 Famously, the Korean national selection competition for archery is more intense and difficult than international competition. Being a member of the national team is like asking for the moon.  We are overflowing with great archers and the number of selected athletes are limited. That’s why the national athletes change so frequently. So I cannot afford to not be vigilant. But there are also many advantages. It also helps to compete against national players, as when we go to any international competition, we often end up competing with Korean teammates. You’ve been practicing archery since elementary school. Why did you choose it? Originally, I planned to learn the violin. But at that time, my mother asked me to select between archery and violin, so I choose the first one. I was really weak physically. I’m still surprised that I’ve managed to do so well with such a weak body. You failed to make the Beijing Olympic team selection in 2008, but you made the team and your name for the Guangzhou Asian Games in 2010. In fact, I didn’t have any clear goals at that time [in 2008]. I thought I wasn’t good enough to go to the Olympics. So I was not disappointed or frustrated when I was eliminated from the national team selection. Same goes for the Guangzhou Asian Games, but I got a lot of attention when I obtained the gold medal in the team competition. You were admitted to Gwangju Women’s University in 2006, and majored in the Department of Elementary Special Education instead of the General Department of Physical Education. I decided my school by looking at my future and career. I wanted to choose my school by my future and direction, and that was the social welfare section and I found out there was an elementary special department in Gwangju Women’s College. I had a difficult time both training and studying in the school. So I changed to graduate school again, and now I’m currently pursuing a PhD course at Chosun University (in Gwangju). Haven’t you also done teacher training? I guess you feel the differences between ideal and reality while you teach them. Exactly! (laughs). I came to realise that teaching students is very difficult work. 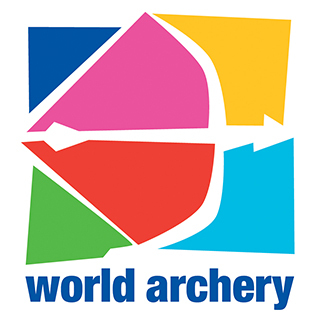 I had feelings of doubt when I came back to school since I thought “Is that really what I want after I retire from archery?” So I’ve let things slightly open for my career after my retirement. I can be a leader at the Paralympics or want to teach students in my school. Are you thinking of another career as well? This time, in Rio, I saw the process that Mr. Seungmin Ryu became an IOC athlete member. He prepared for the election by learning English for a long time and communicating with foreign athletes. He ran an election campaign during the Olympics from 7am to 9pm by targeting athletes in the village. It was amazing and respectful. Finally his efforts and enthusiasm appeared in the voting results and he was elected as an IOC athlete committee member. He made me think about having another goal by looking at his achievements. Let’s get back to talking about archery. You got the spotlight through Guangzhou Asian Games in 2010. How did you feel? At London 2012, you made a clean sweep of the gold medals in the both individual and team events. When I look at the press in that year, there’s a saying that “Ki Bo Bae has the heart and soul of a king”. In fact, when I prepared for London, my physical condition was not that good. I trained with the attitude of “please, I don’t want to be humiliated again.” That’s why I practiced shooting more than anybody else on the team, and it ended up making good results. At the time, I really felt like I had the whole world. You received more attention in the London Olympics because of the fact that you were in a relationship with another archer. There was one lesson from that. It was that relationships should never be announced publicly. If the relationship works out, there are no issues but if you break up, there is a huge aftershock. When I lost my privacy I was reluctant to be in social situations. I also avoided official events. I heard rumours both inside and outside of the Olympic training centre. It’s something I never want to experience again. During the national team selection for the Incheon Asian Games in 2014, you ranked number 10, and the relationship issue cropped up again. When I did my winter training, it didn’t feel good. I thought “this year will be rough”. Above all, I wasn’t convinced about myself. I must have conviction when I shoot, my heart was shaking even before I shot. In addition, the life of a training athlete was so boring. I wanted to be free out of the locked-down world. I knew I probably wasn’t going to make it, so I tried harder out of spite. After that, I got a second wind. I even thought about that if I cannot participate in the international competitions, let’s smash all the domestic competitions instead. I decided to show everybody that I wasn’t dead yet. So, in the 2015 Gwangju Summer Universiade, you shot 686 points out of 720 in the ranking round, breaking the world record of 682. I wasn’t even aware that it was a record. (laughs) So I didn’t realise until much later. I was thankful. You were behind the microphone commentating in the Incheon Asian Games in 2014. That situation and position must have been complicated at that time. How did you feel? When I got an offer from the broadcaster, I was keen but I did not say too loudly that I really wanted to do it though. I thought I might not get another chance. And also I was thinking something like “Oh, something like this will give me satisfaction after since I missed making the team.” It gave me great motivation to strengthen my determination about archery. I had the pleasure of watching the archers while commentating and wanting to come back to the spot next time. Having an Asian Games as a commentator, not a player, will remain an important story in my archery life. Because it served as an opportunity to firm up the motivation that was missing for a while. You took on your best friend, Chang Hyejin in this Rio Olympics: eventually, she went to the final and you had to be satisfied with the bronze medal. What is the difference between competing against Korean players and foreign players in international competition? There are so many. I can’t really concentrate. The psychologist always says “just focus on yourself, that’s it” to me, but that’s not as easy as it sounds. So I went to the Olympics with some worries and fear, and met Hyejin in the last four. It was really sad. If I’d failed in the round of 16 or earlier, I would have accepted that my skills weren’t up to the competition, but I was upset that I didn’t advance to the final. You were cheering Hyejin more than anyone when you were out of the competition. Of course. It was her first Olympic Games and she suffered many things to make the national team. I really wished that she would win the gold medal, since I know so much about her. Did you celebrate with her when the individual competition finished? After we’d finished all the formalities, we all gathered and celebrated in Hyejin’s room. We didn’t even wash or change our clothes. We were on our phones looking up news articles seeing if we’d come out nicely or ugly in photos and had a great time chatting until the next morning. Random question for you! When I researched about you, people say that ‘you look like [former Korean president] Myoung-Bak Lee and/or singer Chae-yeon. Who do you think you look like? Actually i’ve met former President Myoung-Bak Lee, and I think his nose and mine are more similar than any other body parts (laughs), but I’ve never met Chae-yeon yet in person….. 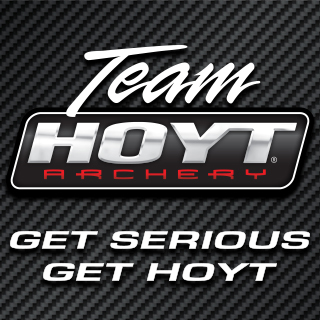 If you measure your archery life on the numbers 1-100, what point you are at right now? I think up to 60. Obviously I passed 50. (smiles) I’ve received valuable gifts, and I experienced the Olympics twice. The last 40, I would enjoy the competition with my juniors. When I reach around 100, I may live my life as a leader, not a archer. This article originally appeared in Sisa Press. Thanks to Vanessa Lee for translation assistance.